We are here at Angelstone for the final week of the 2018 season. 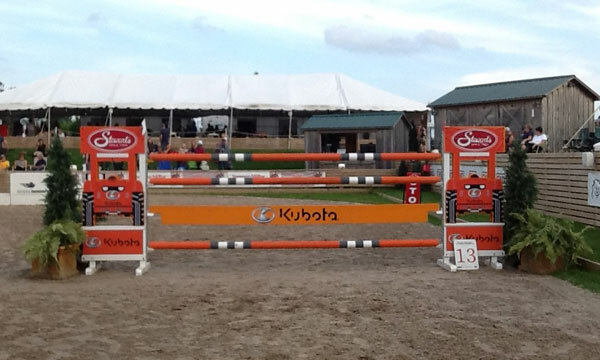 The class tonight will be the CSI 2* Kubota $70,200 1.45-1.50m Grand Prix. There will be 32 starters and all will compete. 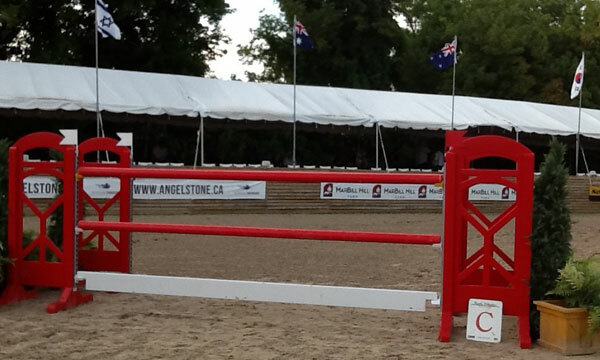 The course will feature the jumps of Brodie Robertson (USA) who has provided these jumps for the last two series and I hope that Angelstone will continue to use this set of jumps for future competitions next year as they are a really good set of competition jumps. The course tonight will consist of 13 numbered obstacles and 16 efforts. Within the course we will see a plank vertical, (#b of the triple combination), short pole vertical, 2 liverpools (in combination), a triple combination and a double combination. There will be no wall, no triple bar and no water. The speed is 375mm and the original TA set at 68 seconds. 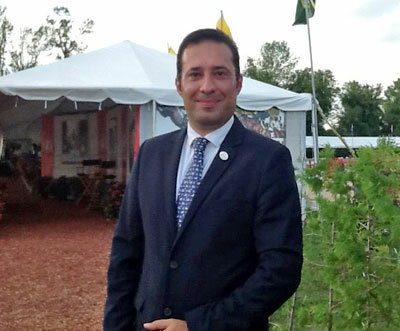 Course designer Hossein Shafiee, from Iran. 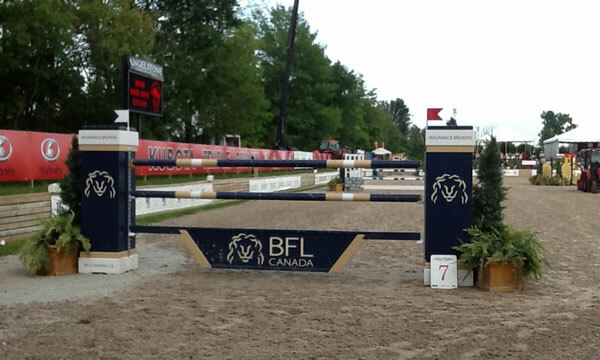 The course designer has been Hossein Shafiee (IRAN) who made his Canadian debut last year at this venue. I have waited a few days before doing the walk because I wanted to make some comments about this course that I normally do not include in my walks. I will make my remarks at the end of tonight’s walk. #1 vertical 1.38m or 4.3ft will not receive any punishment tonight. #2 oxer 1.43/1.45/1.45m or 4.7/4.9/4.9ft comes in a straight line from #1 with a distance of 23m or 75.6ft and was not faulted tonight. 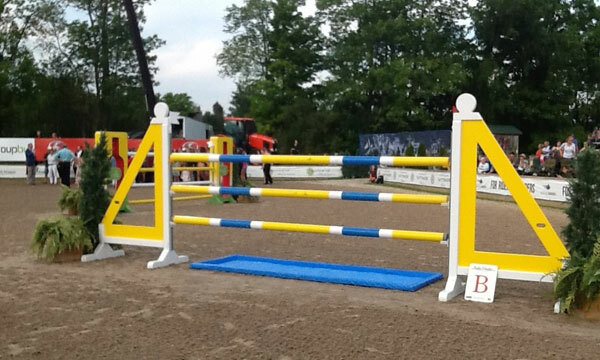 #3a vertical closed Liverpool 1.45m or 4.9ft comes on the left bending rein with no given distance but was very related. This Liverpool received two refusals and saw two splash downs. #3b vertical closed Liverpool 1.45m or 4.9ft comes from #3a with a distance of 8.10m or 26.6ft and never got wet tonight. #4 oxer 1.45/1.50m or 4.9/5ft comes from #3b on a sharp left change of direction away from the in-gate and tumbled to the floor two times. #5 short pole vertical 1.48m or 4.10ft (the bike) comes from #4 on a very soft bend left with a distance of 21.50m or 70.6ft. 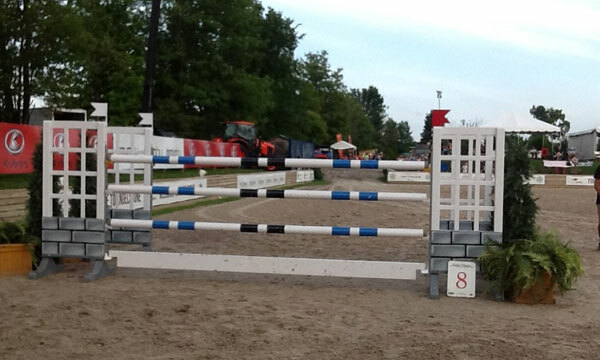 This was the bogey fence and here we saw two falls (two eliminations) from refusals and 10 poles bite the sand. #6a oxer 1.45/1.50m or 4.9/5ft comes from #5 with no given distance but very related on the right rein (dog leg turn) and met mother earth four times. #6b plank vertical 1.45m or 4.9ft comes from #6a with a distance of 11m or 36ft. This vertical fell from grace one time and had one refusal. 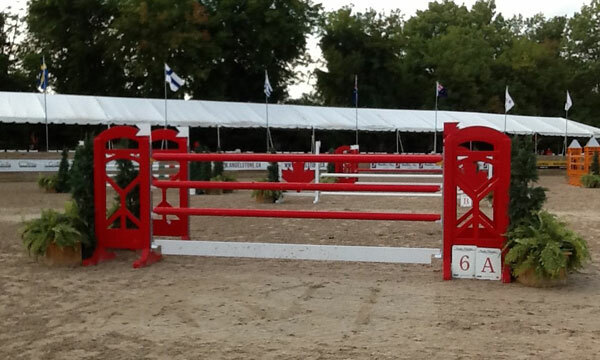 #6c narrow oxer 1.45/1.30m or 4.9/4.3ft comes from #6b with a distance of 7.70m or 25.3ft and sought out terra firma two times. #7 vertical 1.45m or 4.9ft comes at the far end of the ring on the right turn and is very tight into the end of the ring where the lighting is the poorest. We saw two poles on the floor and we had one refusal. #8 oxer 1.45/1.55m or 4.9/5.1ft comes in a straight line from #7 with a distance of 28.80m or 94.6ft and was not faulted tonight. 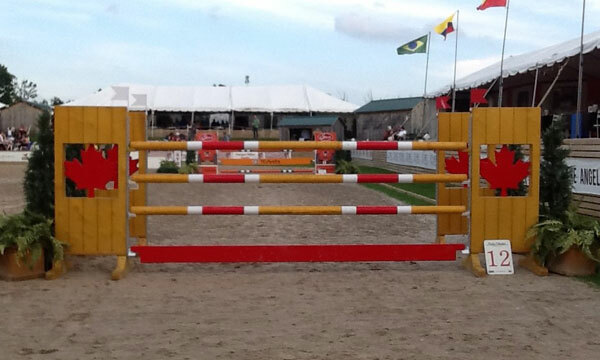 #9 vertical 1.47m or 4.10ft comes on the soft bend on the right rein at the in-gate and was removed from the yellow cups four times. There was no given distance but was very related to #8. #10 oxer 1.45/1.60m or 4.9/5.3ft comes from #9 on the right rein with the longest open gallop of the evening and was damaged on four occasions. #11 vertical 1.45m or 4.9ft comes from #10 on the left bend with no given distance but again very related and saw one failure to execute. #12 oxer 1.45/1.60m or 4.9/5.3ft comes from #11 on a full turn on the left rein with no given distance but very related to #11 and was lowered in height three times. #13 vertical 1.47m or 4.10ft comes from #13 in a straight line with a distance of 19.50m or 63.9ft. 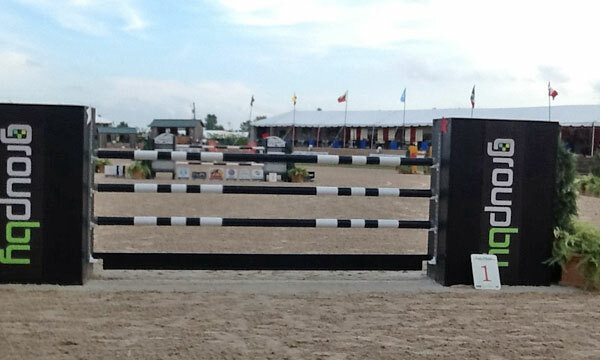 This was the last fence in the first round and was never faulted. 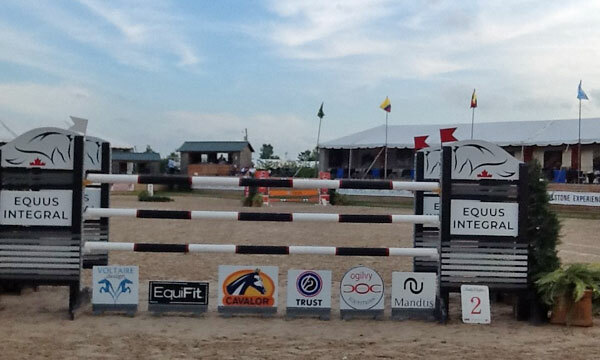 The final results of the first round will show that there were eight clear rounds, seven rounds of four faults, one with five and four rounds of eight faults. The remainder will jump another day. There were two falls (two eliminations) and there were six VW’S. On paper these results were what made for a good jump off and for the best crowd of the season that means a lot. There was a really good crowd and the weather was a little humid but no rain and the spectators were enthusiastic. I have a few remarks that go to the course designer and what may have led up to tonight’s class. 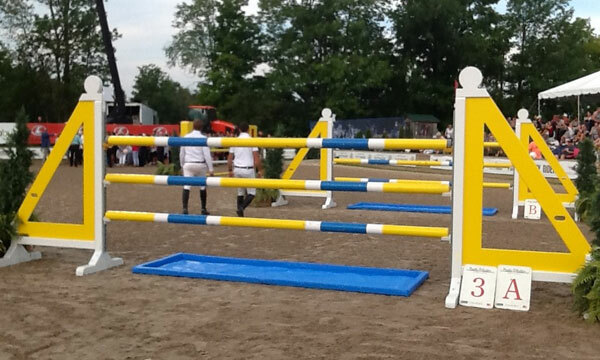 The open welcome on Thursday saw 18 clean for the jump off. This was maybe a few too many but normally is met by acceptance by management as it usually means a couple more entries for the grand prix. 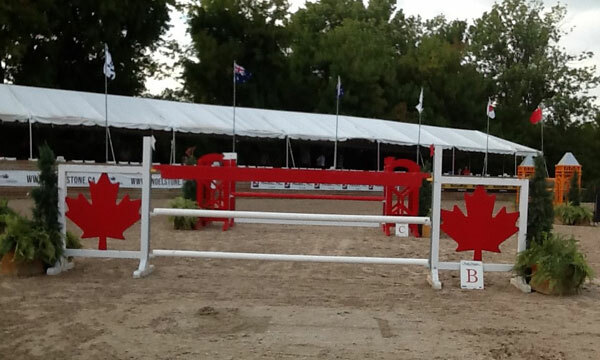 The open welcome is seen by the course designer as a class that he or she will go a little soft on so a step up in difficulty will be the order of the day for the grand prix. I know that a course designer can be influenced by riders and management if they feel that the course designer has been too soft or too difficult. This is a fact of life and no course designer is exempt. My expression of “it is easy to be hard but it is hard to be easy” is something that a course designer must learn to deal with. I know that there was a feeling that the grand prix needed to be more aggressive and hopefully with fewer clean rounds. 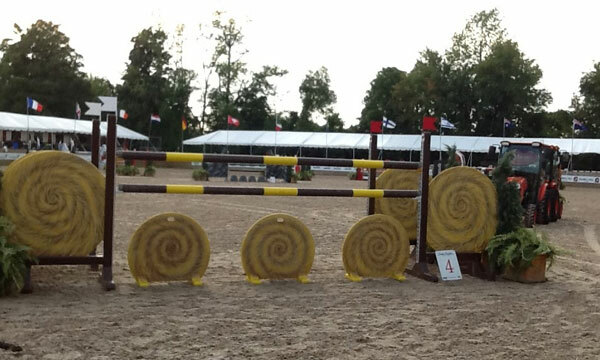 As the grand prix was restricted to the limits of a 2* event the increased difficulty had to come from other tests at the disposal of the course designer. The logical choice was the technical aspects of the course. When using technical questions the course becomes more related. 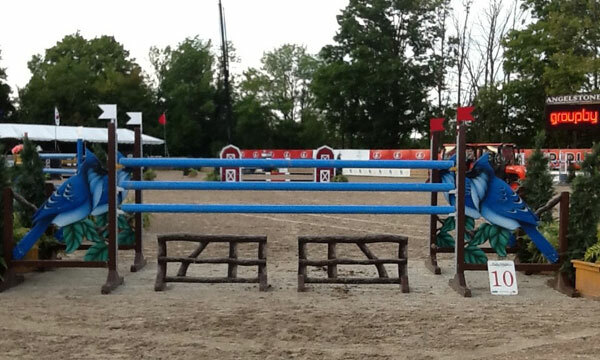 The more related the jumps are to each other the more the TA comes into play along with the speed the course is to be ridden at. The original TA was 68 seconds and was changed to 75 seconds. Changing the TA by seven seconds is significant. The original TA was incorrectly wheeled. This is a ring size that does not support the speed of 375mm. The totally related course does not support the speed without making some allowances for technical aspects of this course. In the class tonight not one entry was able to be under the 68 second TA. Not even the entries that attempted to be the fastest four faults were under the 68 seconds. It is part of the job of the course designer to be accurate with the TA. In consultation with the jury the TA can be changed to be more accurate but if it is changed that much then the mistake lies with the course designer. 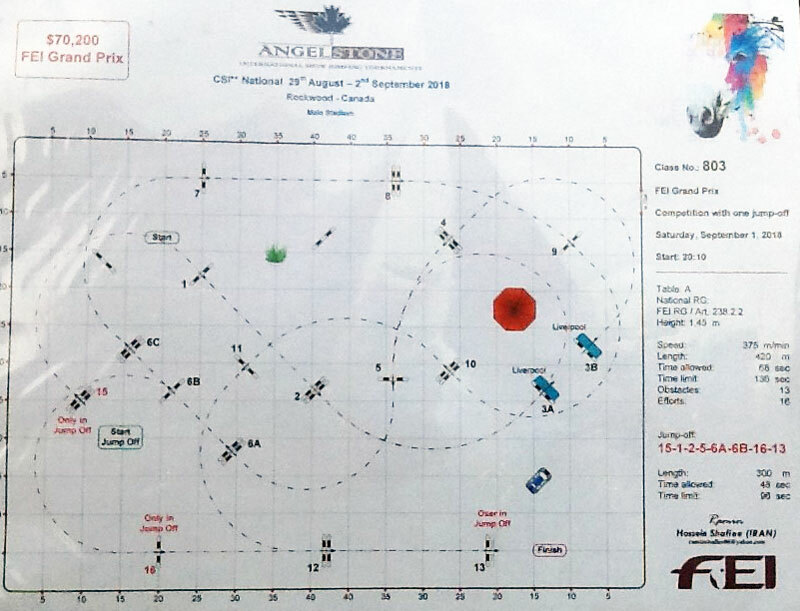 The course designer must be responsible for the TA and not rely on the jury to make it right. In the past the TA was not the weapon that it is today. A course designer must take responsibility for an accurate time. I know that Hossein is a good course designer and that the results in this class were good and created a good number for the jump off and in the end that is what you want from your course designer. The larger number of VW’s in the class tonight was not a result of a bad course. There were several reasons for this number. There were rides that were going south and riders decided to compete another day. 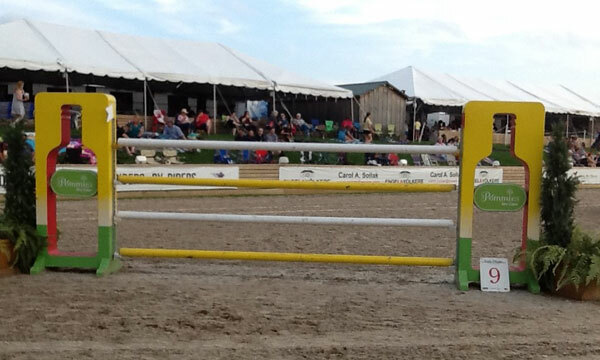 There was a rider that withdrew at the last fence. They decided that they did not want the class to count for rider points, I think. The two falls were difficult falls but fortunately did not result in serious injury. One rider returned later with another entry. I believe the other rider was checked out at the hospital. In the end I think that the course tonight got the results that made for a good class. 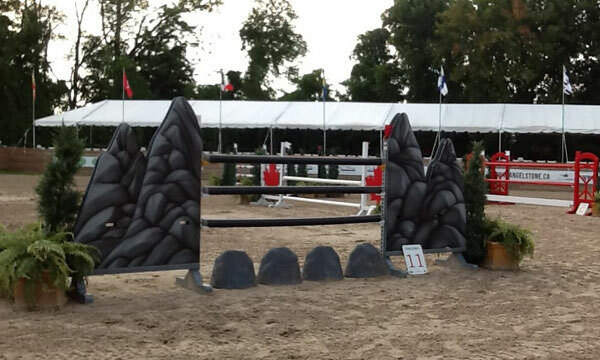 I think that the course could have had more flow and longer gallops between the jumps to create this flow. A young course designer has a hard job in the sport today and must use every course as a learning experience. I hope that we will see Hossein next year because I think that he has talent and cares about the work he does. We are back at Caledon Horse Park in two weeks. 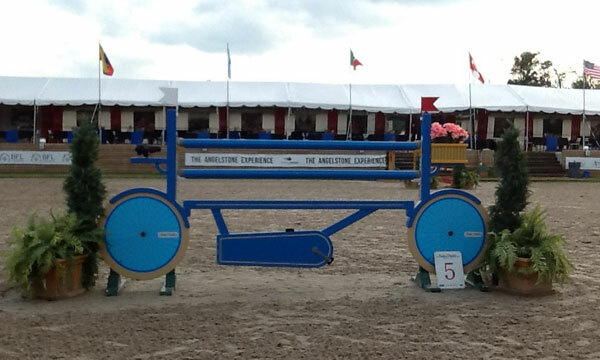 I will miss the Tournament of Champions as I will be in Tryon for WEG to watch my daughter ride for Canada. Until the next walk I am Dave Ballard.